Amanda Scott has a strong and inexplicable connection to Rome and Emperor Augustus Caesar. She believes she may have lived a past life during the ancient ruler’s reign. Reincarnation, or the soul’s rebirth into a new body, is a concept dating back at least as far as the Roman ruler’s era. It is an aspect in many religions, such as Hinduism, Buddhism and pagan traditions. In 2010, a survey compiled by Carleton University and the Association for Canadian Studies revealed that more than a quarter of the nation’s population has expressed belief in the existence of past lives or reincarnation. Scott, 37, has been reading the tarot for more than 25 years. She currently offers both present and past-life readings at Little Mysteries Books on Barrington Street in downtown Halifax. Scott says people who seek past-life readings – which is generally three or four clients a month – are often struggling with something in their life they are unable to explain. Other clients harbour irrational fears. Scott says a tarot reading might reveal that this fear is a result of their death in a previous life. Bruce Whittier runs Mind Body Spirit Canada, a home office-based business in the city. He offers a variety of treatments, including massage and reflexology – a type of massage used specifically to treat illness. Whittier, 53, uses a different approach to uncover past lives. He conducts past-life regressions. He says some clients feel a pull to a certain place, or are drawn to collecting certain items. Sometimes he can see a connection between these locations or objects, and a past life. This relaxation allows Whittier to walk clients – usually one or two a week – through what could be considered dormant memories of lives lived. Answers might appear in the sight of an old house, a name on a possession or the recognition of a face. Scott says tarot readings appeal to those who might find hypnosis too invasive. While her reading will not reveal a past life’s name or birth date, as regression might, she says the important lessons learned in a past life often make themselves known during the reading. Regardless of the method, some clients go away disappointed upon discovering they did not previously exist as Joan of Arc or Marilyn Monroe. Whittier says while he has discovered interesting things about clients’ previous lives, rarely does he see a past that indicates the person was a famous figure. And not everyone has a past life to recall. Both Whittier and Scott have come across “new souls.” Whittier estimates he has met about eight over the past two decades. He says he has sympathy for those who came in the hope of understanding why they are suffering by peering into the past, only to find the answers must lie in this life. In such cases, Whittier says he sends his clients on their way at no charge. Scott recognizes the energy of a new soul as “chaotic,” and has felt this hectic force in rash, spontaneous people. Though reincarnation has long been viewed as the stuff of religion and imagination, acceptance of the possibility of past lives is growing in more mainstream arenas. Colleges that offer hypnotherapy and stress management training now offer diplomas in past-life regression. Degree programs in parapsychology – the study of psychic and paranormal activity – are offered at some American universities. Canadian universities don’t offer full-fledged programs, but certification courses are available through groups like the Ontario Hypnosis Centre. Scott has a degree in religious studies and has taken psychic development classes on a variety of topics. When she discovered the tarot might unveil past lives, she read everything she could find and refocused her existing knowledge. 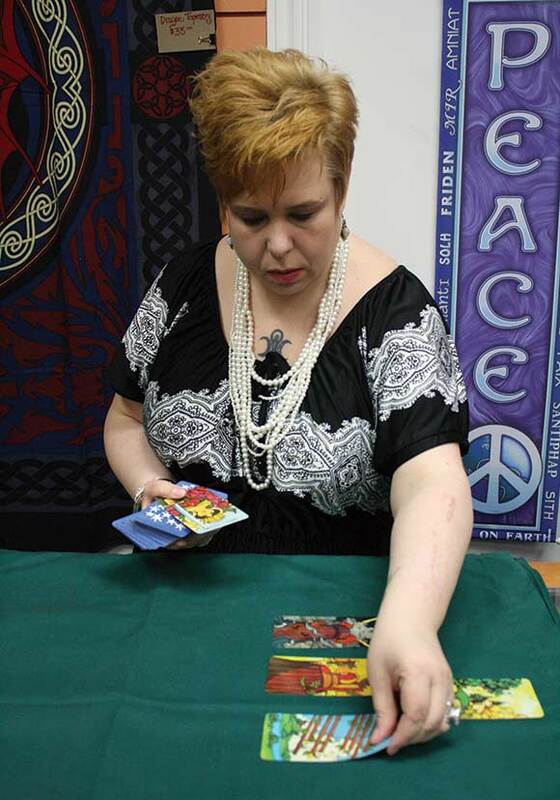 Her past-life tarot readings cost $60 for an hour-long session. Whittier trained at the Atlantic Institute of Holistic Teaching and Healing, and mentored with a certified hypnotherapist. He offers one-hour past-life regression appointments for $50. Both Scott and Whittier have chosen this path because they see it as a way to help those in need. Whittier says the idea of past lives is a comfort to believers. It provides evidence the soul cannot be obliterated – whatever happens in one’s life, their soul can come back and try again.